Summer has brought a bumper delivery of new books to the libraries, and in this post I would like to bring to your attention the new titles to be found in the Ear Institute collection. First I’d like to whet your appetites with some of the titles that caught my eye during processing. A full list of books will follow. Basic Otorhinolaryngology, Second Edition, Thieme 2018, by Rudolf Probst, Gerhard Grevers and Heinrich Iro. Located at WV 100 PRO. An accessible introduction to the core concepts of otorhinolaryngology and head and neck surgery. Completely updated chapters on audiology and vestibular disorders. Otolaryngology Head and Neck Surgery Clinical Reference Guide, Fifth Edition, Plural 2018, by Raza Pasha, Justin S Golub. Located at WV 100 PAS. 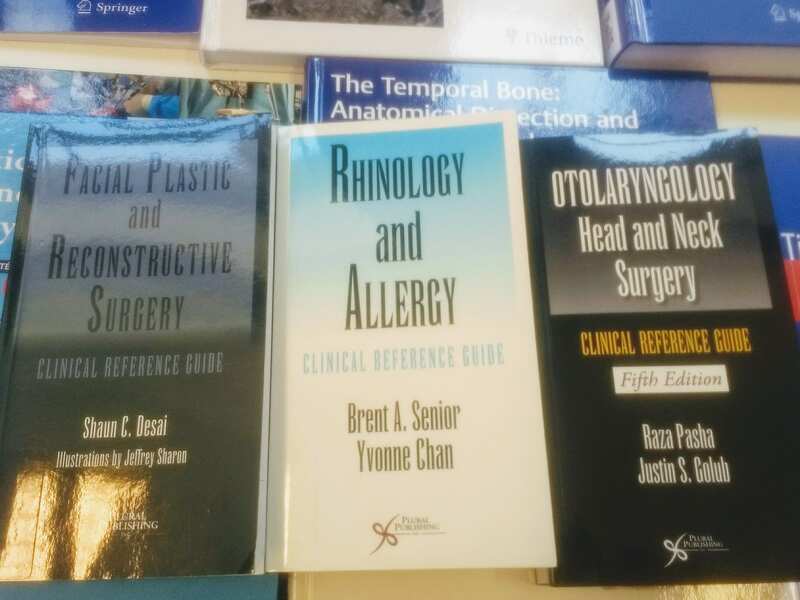 Rhinology and Allergy Clinical Reference Guide, Plural 2018, by Brent A Senior, Yvonne Chan. Located at WV 300 SEN.
Facial Plastic and Reconstructive Surgery Clinical Reference Guide, Plural 2017, by Shaun S Desai. Located at WE 705.600 DES. An update for the Pasha pocket guide, and new titles in a similar format for two other disciplines. 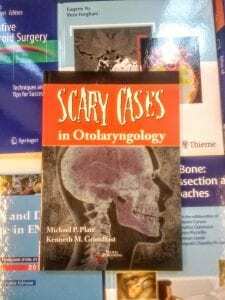 Scary Cases in Otolaryngology, Plural 2017, by Michael P Platt, Kenneth M Grundfast. Located at WV 150 PLA. Arriving too early for Halloween, nonetheless Scary Cases could be an invaluable resource, presenting difficult cases and building a discussion around clinical management, prevention, and the legal and ethical aspects of these cases. An extension of the annual Scary Cases Conference held by the Bostion University School of Medicince since 2011. Clinical Assessment of Voice, Second Edition, Plural 2017, by Robert Thayer Sataloff. Located at WV 500 SAT. 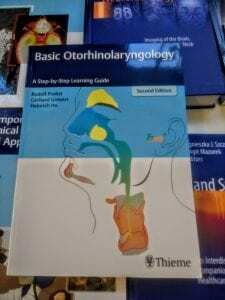 Treatment of Voice Disorders, Second Edition, Plural 2017, by Robert Thayer Sataloff. Located at WV 500 SAT. Vocal Health and Pedagogy, Third Edition, Plural 2017, by Robert Thayer Sataloff. Located at WV 500 SAT. Voice Science, Second Edition, Plural 2017, by Robert Thayer Sataloff. Located at WV 500 SAT. 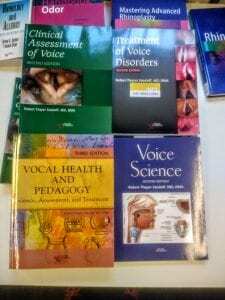 Dr. Sataloff and his band of authors have been extremely productive of late, providing new editions of his voice books. 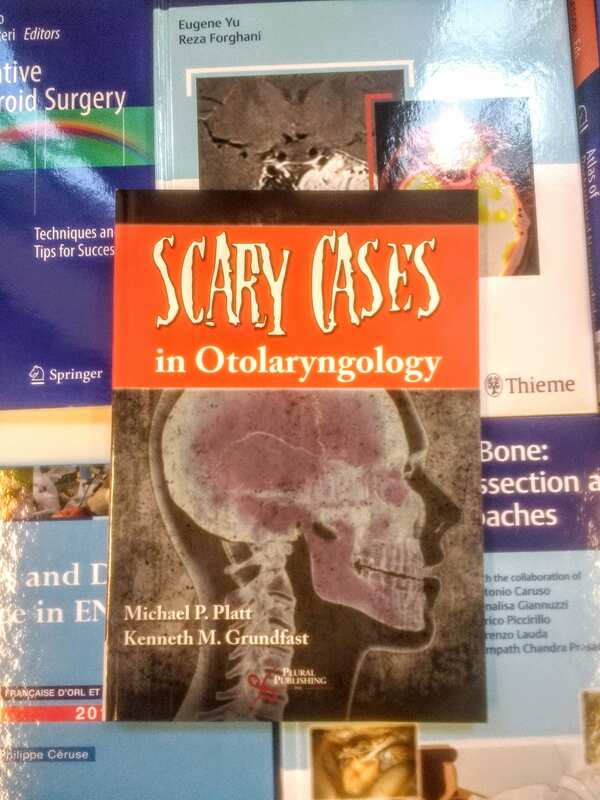 These feature numerous updates to previous editions, reflecting changes in medicine and voice science. SPSS Survival Manual, Sixth Edition, McGraw-Hill 2016, by Julie Pallant. Located at WA 950 PAL. 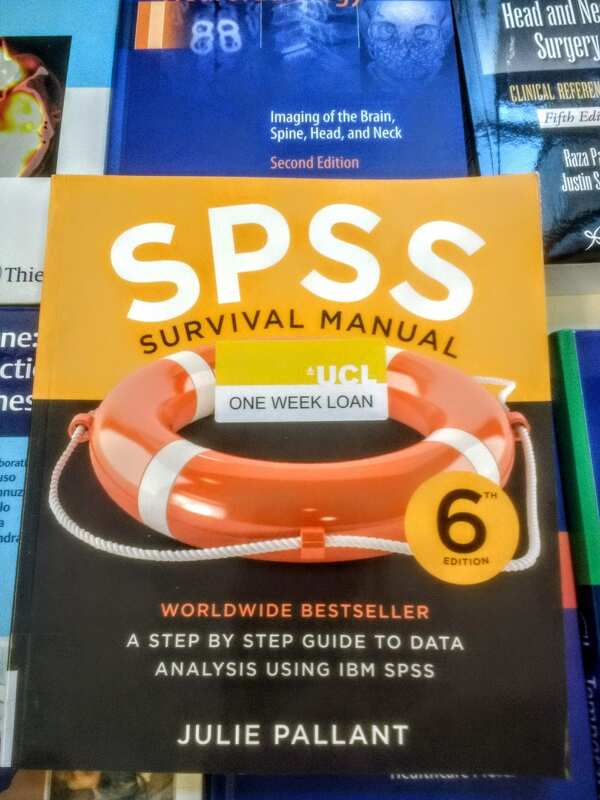 A lifeline for students and researchers grappling with SPSS statistics software, this sixth edition is fully revised to accomodate changes to IBM SPSS. 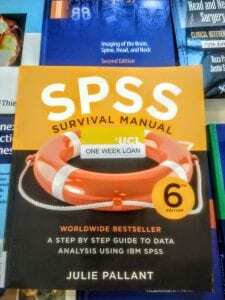 My personally-favoured choice for library users asking for SPSS advice! 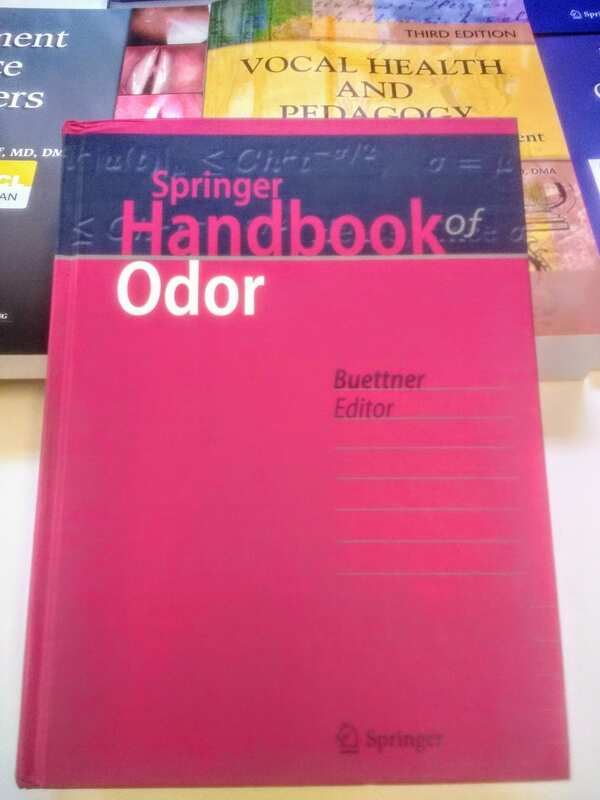 Springer Handbook of Odor, Springer 2017, edited by Andrea Buettner. Located at WV 301 BUE. 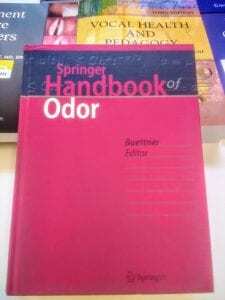 Unfortunately not available in a scratch-and-sniff edition, this is the definitive guide to all aspects related to the study of smell and their impact in human life. Here is the full list of books processed in July 2018.